Students may join our classes mid-session and all classes are pro-rated. Therefore, you only pay for the classes you attend. This special class is often the first educational art program for Toddlers. Children learn about colour, texture, movement and more while experimenting with new and innovative materials. Parents/caregivers of 2 & 3 year olds participate in class and learn what they can do to help nurture creativity, while 4 & 5 year olds are welcome to experience the class without their parent/caregiver present. Sign up online to save your spot. 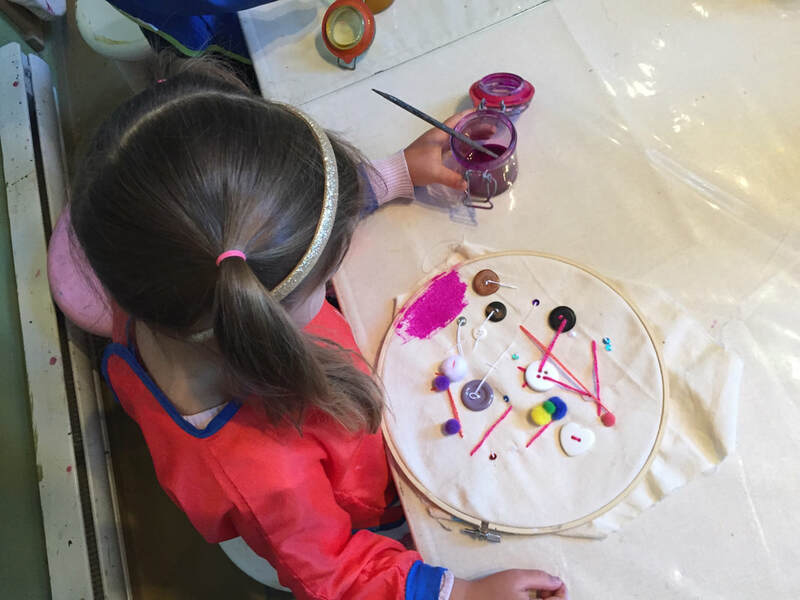 This special parent/child class is often the first educational art program for Toddlers. Children learn about colour, texture, movement and more while experimenting with new and innovative materials. Parents/caregivers participate in class and learn what they can do to help nurture creativity. Children join our class once a week and space is limited to 6 students per class. Each month will focus on a different theme and picture book that we will read together and gain inspiration from. In a 3 hour/week class students will work on approximately 2 visual arts projects, have snack time (provided by the parent) and participate in outdoor play & discovery at the local park.